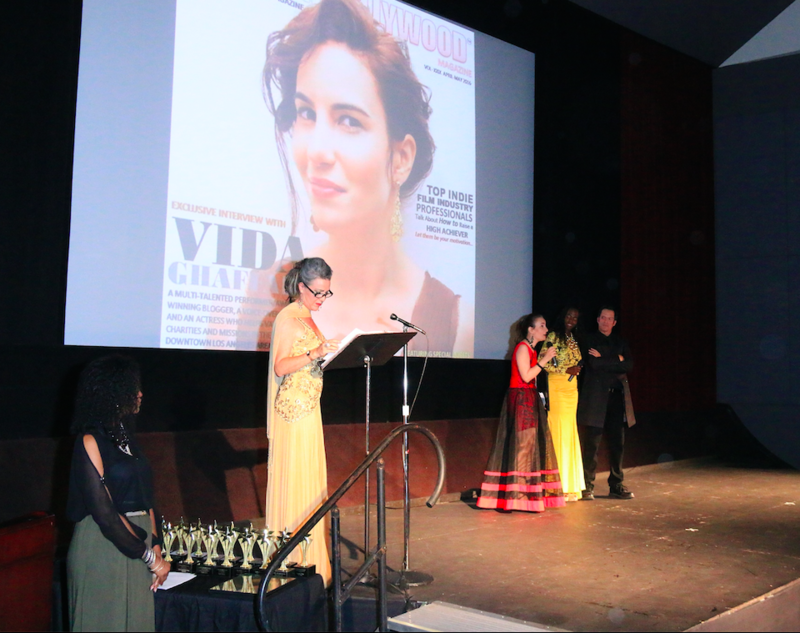 Los Angeles, CA, August 17, 2016	(Newswire.com) - ​​​​​​​​​​​Award-winning actress and fashion and beauty blogger, Vida Ghaffari (The Mindy Project, Jimmy Kimmel Live, So Very Vida), was presented with a prestigious Excellence in Media Award at the fourth annual Los Angeles Nollywood Film Association (LANFA) on Saturday August 6th at the James Bridges Theater at UCLA. 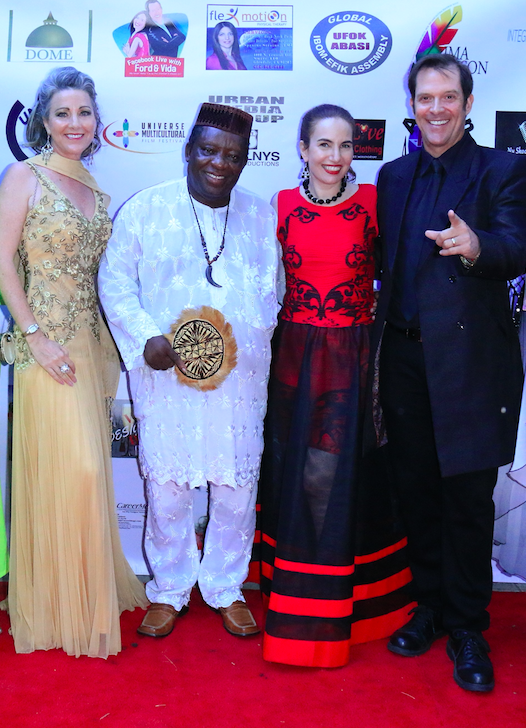 This event recognized renowned international talents in the film, music and media industries within the African communities globally. LANFA has experienced tremendous growth since it's inception and wanted to appreciate all those who have stayed the cause and also given back to their communities. King Bassey is the founder of the Nollywood awards and LANFA. 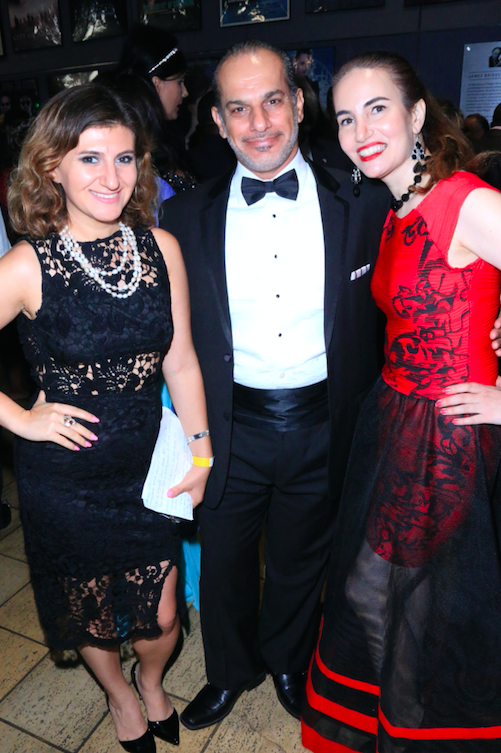 Mark Sevier was the LA Coordinator of LANFA and Amelia Johnson was the head of marketing. Additionally Mark won a best actor award for the film "The Chosen One." 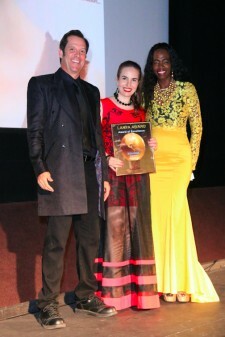 Celebrated actor Ford Austin presented Vida's award to her. Ford is Vida's co-host on their popular Facebook live show, "Live with Ford and Vida." The tag line for this popular show is "We never sleep, 'cause the internet is always on!" Ever on the bleeding edge of media, Ford and Vida star in the world's first red carpet interview show to be shot entirely on an iPhone airing on facebook live with almost a 1,000,000 viewers in 25 countries across the globe. They bring their knowledge, wit and candor to this show and even did live streaming on the red carpet of the Nollywood awards. "Live with Ford and Vida" was also an official sponsor of this auspicious event. Entrepreneur Laverne Tillis also presented this award to Vida. Vida is on a real roll in her acting career. She recently voiced two characters in the award-winning animated film "Lovesick Fool" created by Emmy-nominated director Dominic Polcino ("The Simpsons," "Family Guy," and "King of the Hill"). Acclaimed actors Fred Willard, Lisa Kudrow, and Janeane Garofalo also voiced roles in this film. This comedic powerhouse landed a great co-starring role in Mindy Kaling's humorous and much buzzed about show "The Mindy Project." She has also starred in Comedy Central's "Mind of Mencia" and "Jimmy Kimmel Live". These projects cap off a number of successes for the versatile starlet. She will soon be shooting a supporting role in multi award-winning filmmaker Gregory Hatanaka's "Darling Nikki" alongside James Duval ("Independence Day,"Donnie Darko"), Kristine DeBell ("Meatballs"), Mel Novak (Bruce Lee's "Game of Death,""Black Belt Jones") and actor/director Thomas J. Churchill ("Checkpoint," "Lazarus: Day of the Living Dead"). She will also star in two films directed by Churchill as well as "Copperhead Creek" opposite James Van Patten (of "Saw" fame), which is a western created by Rick Groat.